Purim Groggers Retail Bulk and Wholesale. Perfect for Purim parties and Mishloach Manot gifts. 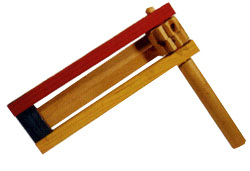 Click to see Wood Groggers in Assorted Colors in Bulk and also Purim Hand Clappers that say "Happy Purim" Your party will be fun and festive. That's a guarantee. Besides groggers we also have various Purim packaging and candy! 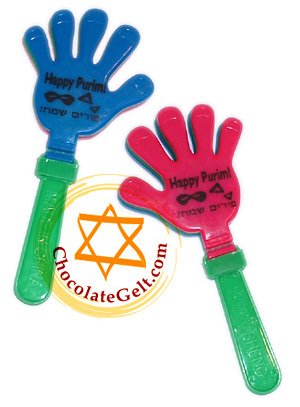 Stop by our store online to buy everything you need for Purim! The noisiest noise-making groggers!!! We'll deliver these groggers to your door. please visit www.chocolategelt.com We look forward to serving you!